Before Facebook launched its newest standalone app Paper, the social network hinted that it would soon focus more on its Groups feature. It looks like Facebook made good on that promise yesterday by unveiling a revamped groups discovery page. The updated look includes not only top suggestions, but also Groups relevant to the locations listed on members’ profiles. Last week, the social network began encouraging Group admins to add descriptive tags to make their Groups easier to find. According to the shared screenshots, clicking on a tag will reveal a list of similar groups. While this doesn’t do much for closed/private groups, it’s a great way public Groups to attract more attention. During Facebook’s fourth-quarter earnings call, CEO Mark Zuckerberg revealed that more than 500 million people use Groups every month. In an interview with Businessweek, he also mentioned that Groups, as well as Events, could be the next feature unbundled from the main app and turned into a standalone product. Nothing solid has been presented regarding a standalone Groups app, but the company does seem focused on helping people create successful and engaging groups. Zuckerberg shared a few tips on how you can get started. For example, he recommends investing time and manpower (in the form of admins) to help build a strong foundation. You’ll also want to take advantage of your group’s personalization and privacy options. While you might think Facebook Groups are consumer-created, there are several use cases for brands. Here are a few examples of how a business can leverage a group in addition to its Facebook Page. Many brands have ambassador or customer loyalty programs. Instead of communicating through emails, create a Facebook Group specifically for them. While many of these Groups are closed and won’t benefit from the new discovery features, this is a great way for you to share information that you want passed along to their networks or share rewards with an exclusive set of customers. As an example, Nintendo regularly works with a group of ambassadors to help promote new games, gaming systems, and hardware. Ambassadors use closed groups to communicate with each other and brand representatives. Additionally, Gilt City uses private Facebook Groups to keep their top-referring and top-spending customers updated with insider information and early access to deals. This is a great way for remote ambassadors to share feedback, interact, and feel like they’re involved and part of the brand. 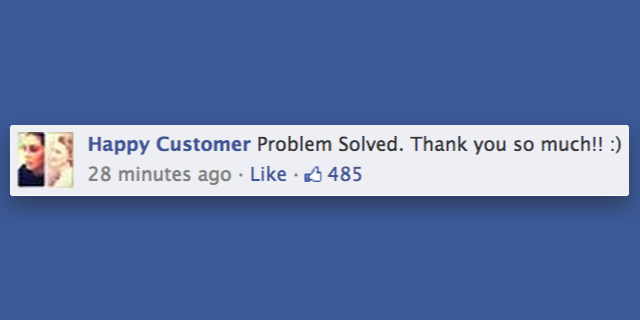 We’ve already shared tips on how to use Facebook for customer service. But if you’re looking for a way to keep support separate from your page, create a Facebook Group instead. Groups offer a much more effective way to discuss issues without competing for attention with other content marketing posts. A separate customer support group is also a great way to encourage your customers to engage and help out others. If you decide to go this route, we recommend that you create a public Group so others can find it. Additionally, you’ll want to make sure that visitors to your Facebook Page know about the Group so they know where to go with their questions or feedback. Create an open Group to build awareness, authority, and interest in your brand. But instead of launching a Group around your product, focus rather on your industry and how you can establish yourself or your brand as a thought leader within it. Make participation a priority rather than messaging. Encourage your customers to interact regularly, too. You should also consider joining existing groups that are relevant to your niche. For example, social media and community managers can engage with peers around the world in Groups like Community Manager, Advocate, and Evangelist or Community Builders. While these require invitations from a member to join, you can use Facebook’s new Group discovery features to find similar options. Almost two years ago, Facebook launched Groups for Schools, giving students and faculty of a college or university a private space to connect online. Members can share files, create events, message other members, and stay up-to-date on what’s happening around campus. Additionally, professors can create subgroups for their classes or students can create subgroups for clubs, organizations, sports, dorms, and so on. You can go to the Groups for schools page to search for your college or university. Only faculty, staff, and students with a valid .edu email address are eligible to join. Once you’ve decided what type of Group you’d like to create, make sure to review Facebook’s privacy settings for open, closed, and secret Groups. Keep in mind that only open and closed Groups will appear in search results while secret Groups will only be seen by members. So if you’re hoping to take advantage of the new Groups discovery page, make sure you choose your privacy settings carefully.